Kitchen backsplash tile must be functional, and add to the design and feel of the space. 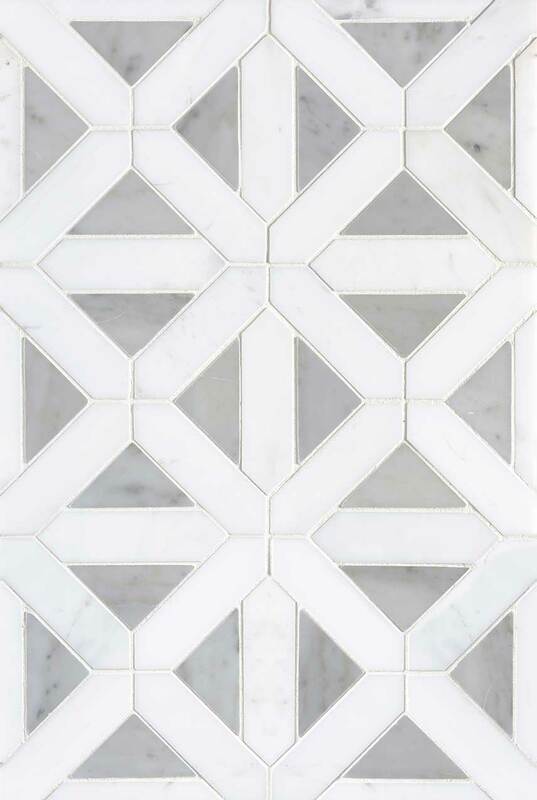 Our Bianco Dolomite Geometrica backsplash tile is crafted from natural marble adding a gorgeous, on-trend pattern that marries beautifully with a variety of natural marble slab countertops and floor tiles in our inventory. Be sure to use white grout to insure that the pattern of the tile, not the grout lines, are the star of the design.